Save 50% on Audio Pro Addon C5 wireless speaker | What Hi-Fi? 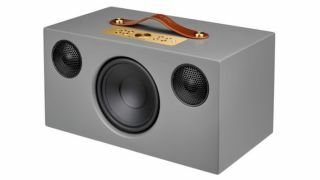 Richer Sounds is currently offering an (also five-star) Audio Pro Addon C5 wireless speaker for half price (making it £114.50) with every purchase of an Addon C10 (£269), meaning you can get a very decent – class-leading, even – Audio Pro multi-room system underway for less than £400. Customers simply have to add both speakers to their basket and enter ‘ADDON50’ into the voucher code box. The offer is also applicable in-store or via telesales. You’ll have to be quick to snap it up, though. The offer ends this Saturday (13th October).